This is an era of big shifts in technologies of designing and of making. The imperious trend is also to blur the boundary between them. The expanding horizon of fabrication is becoming synonymous with advancement in design. In this jump-start phase, experimentations taking place in neutral controlled factory-like spaces are gradually expanding to the unpredictable ‘outside’, onto streets, into cities. 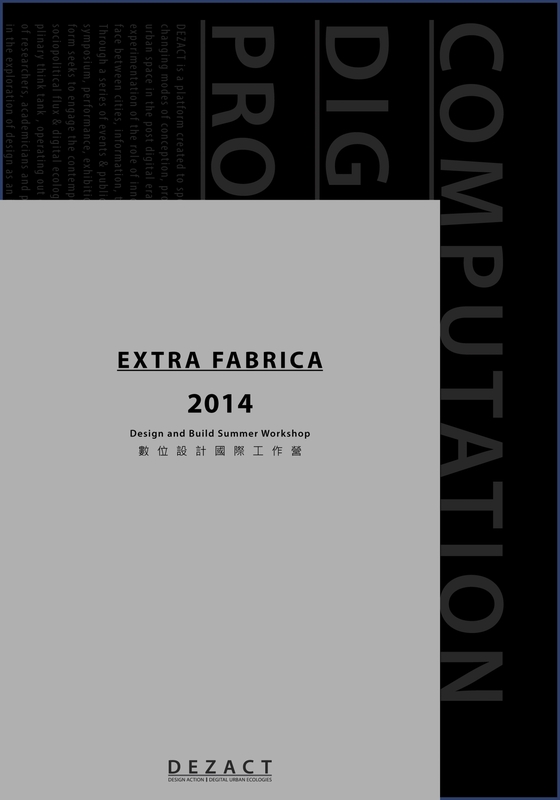 ‘Extra’ Fabrica, beyond the production of complex objects or sophistication of construction methods, pushes toward the challenging yet underexplored engagements between digital fabrication and ‘extraordinary’ situations beyond simulated scenario, i.e. interfacing with the metabolism of the metropolis, the unpredictable environment, people’s emotive participation, etc. 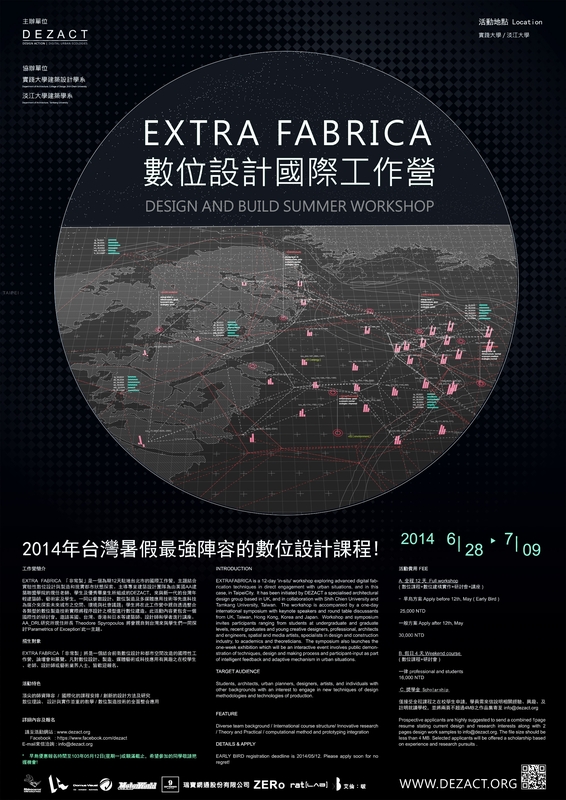 ExtraFabrica aims to develop and test interactive design and fabrication senarios in neglected or problematic urban interstices and ecologies, to adapt existing constructs to new use and identity, to catalyse socio-cultural activities and to engage behaviour parallax between physical and virtual environments. Conditions of ‘live’ factors with extended duration and occupation, i.e. street life, derelict buildings, traffic, rain, dance, demonstration, and so on, are invited to interfere with quantifiable or codifiable parameters set out by design algorithm, feedback mechanism and fabrication dynamic. ExtraFabrica envisages architectural outcome which enables fabrication of action, of participation, of change of values, of identify, of confluence of voices and dreams. The first part of the workshop is entirely context- and situation- specific which requires students to examine content and means to form localised clusters of resource aggregation and to develop a design for a participatory building system, ultimately enabling actions and social change. This involves research of contextual and situational conditions, testing alternative socio-economical systems that could be feasible, agile and adaptable, and exploiting key concepts such as parametric design, digital fabrication, localised productions and mass customisation. This middle part focuses on urban engagement through the combination of ‘customisation’ in digital fabrication techniques and ‘interaction’ through spatial multi-media installations. The aim is to make hybrid prototypes and study behaviour changes through decentralised, distributed network system that interweaves both physical and virtual realms as part of urban living. The final part act cumulates in a defined innovative physical intervention realised through digital fabrication, in combination with previous two parts of interweaving of context research, programmatic expansion and cross-disciplinary experiments. It involves testing a variety of adaptive performances, site-specific interventions, exploration of feedback and specialised construction with direct collaboration with local specialised design and technology industry. The studio will investigate digital design and fabrication procedures in relation to the condition and context of Asian cities , Taipei in particular. The aim of the design studio will be to introduce computational design through using generative, algorithmic, data simulation and parametric design based techniques. Design proposals to develop new systems of mass customised building systems will be investigated through both physical and computational methods. Participants will use multiple software platforms for modelling, simulation and fabrication, towards multiple, variable and recursive prototypes for a range of urban conditions, driven by scenarios of future incremental, adaptive growth and change. Scaled prototypes will be fabricated in the studio and selected designs will be constructed at 1:1 scale based on the building systems developed. 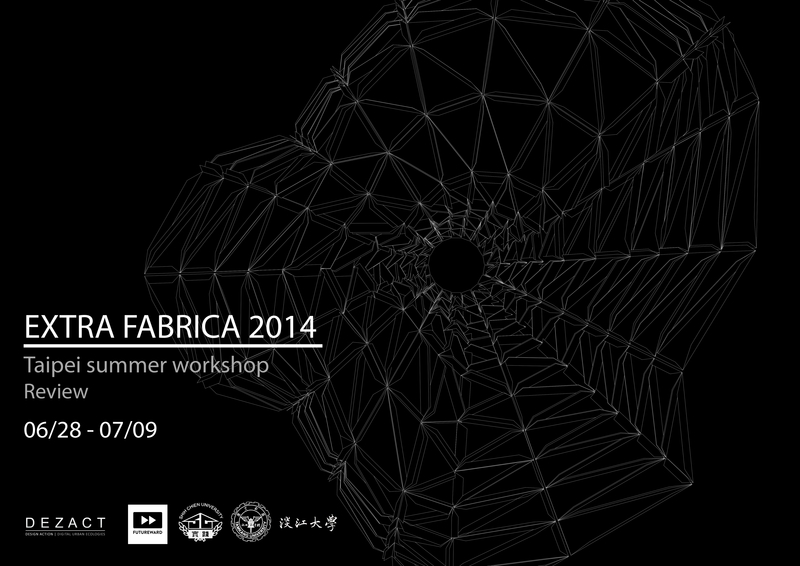 Participants will get the opportunity to explore advanced fabrication techniques and gain the knowledge of the workflow from design to production. The summer studio will be taught by tutors and graduates from the Architectural Association (UK), UCL Bartlett (UK), Cambridge University (UK) and University of Westminster (UK) along with faculty from the host institutes Shih Chein University and Tamkang University (Taiwan).